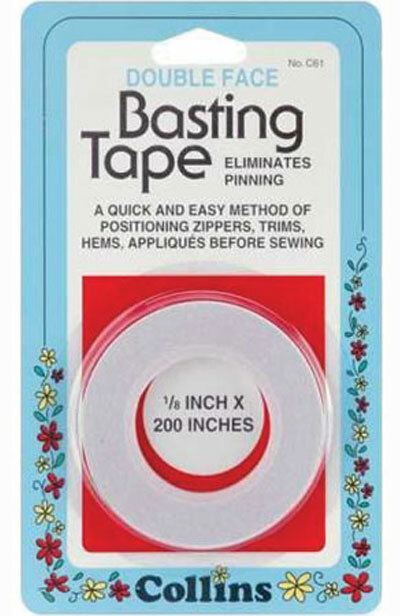 This double-face basting tape eliminates pinning and makes positioning pieces easy. Position zippers quickly and easily. Apply trims or appliques before sewing and they'll stay in place. Hold hems in place for stitching. Apply to the back of the mat when framing a stitchery to pull fabric to back and hold in place. Use when sewing pieces with curved seams to hold fabric in place without pins. 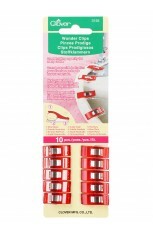 Cut lengths or pieces as needed. Apply sticky side to extreme outer edge of zipper or trim. Peel off backing paper and finger press in place. Stitch zipper/trim/applique shape/hem in place. Note: Adhesive film should be at least 1/8" outside of stitching line.